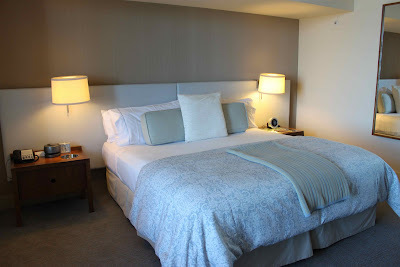 The last time I stayed at Hotel Vitale, I was on my honeymoon. We were making the long trek out to Hawaii and made a two night stop at this relaxing oasis in San Francisco to break up the flight. 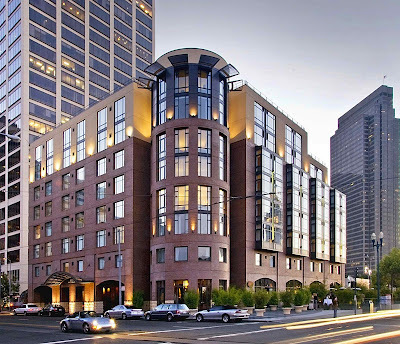 I had found out about Hotel Vitale in a Wallpaper City Guide and it was the perfect combination of modern design + spa vibe + location = hip hotel. I just remember being impressed by all the little things like their green initiatives, the overall understated luxury and impeccable service. Just because I go on vacation, doesn't mean I want to stop recycling. Returning to San Francisco four years later, made Hotel Vitale an obvious choice. Internet is complimentary and the business centre even has a dedicated printer and computer for the pesky chore of printing out boarding passes. Turndown service includes a piece artisan milk chocolate from a local chocolatier, bottled water, a weather card and a fortune or inspirational quote. 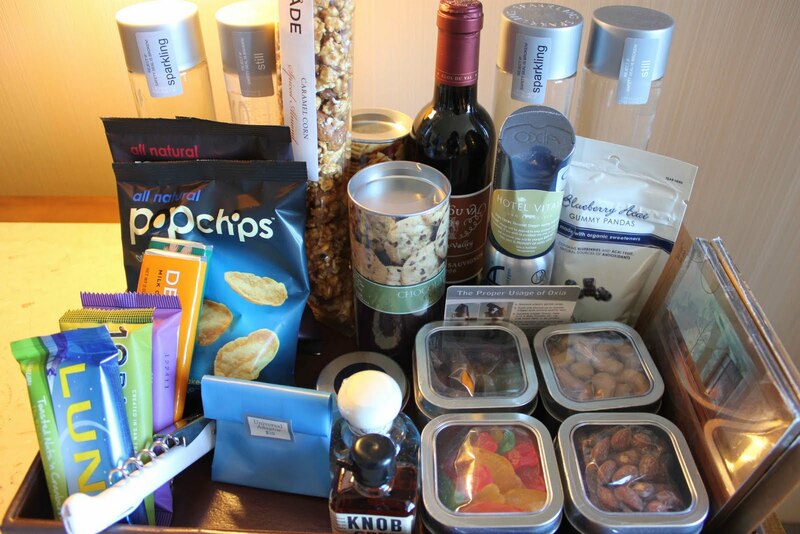 The mini-bar goes on and on with tempting snacks. Most original item? The personal oxygen tank ($69), so you can feel extra refreshed. The hotel room also comes with two well-mixed chillout CDs that fit perfectly as Hotel Vitale's soundtrack. Copies were available for purchase in the mini-bar. Think Buddha Bar meets St. Germain...ahhhh. 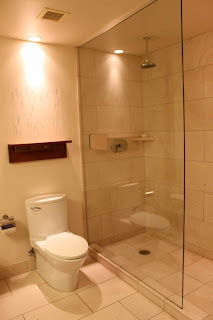 The bathroom was large and modern with little bottles of shampoo and soap from Fresh. 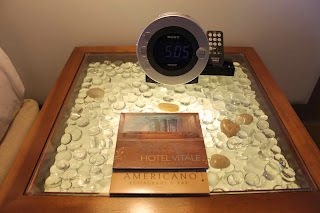 The nightstand of mini marble river rocks lit up and the suite included a CD player and iPod dock. 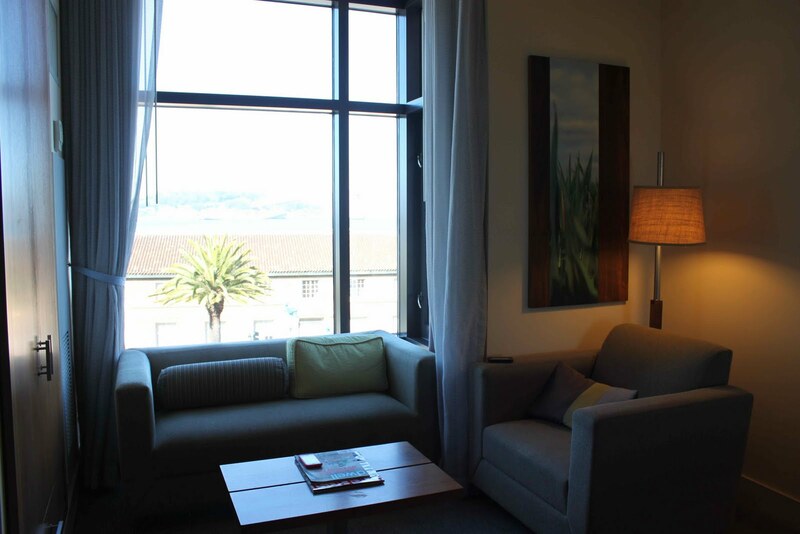 Our suite included a little reading nook, to gaze out at the water and unwind. If you're celebrating something extra-special, the hotel has seven circular suites (above) with the best views from the buidling. It's often booked by honeymooners and includes a soaking tub in this super luxurious and spacious suite. The hotel has a series of roof lounges that are open to guests with a view of the bay, Ferry Building or downtown. 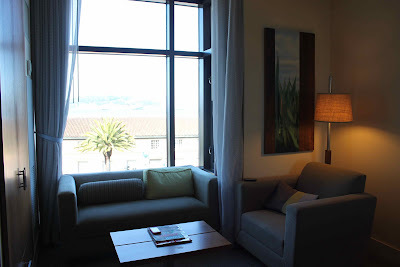 It's perfect for reading a book or sharing a bottle of wine. You can also see the series of green roofs that help keep the building naturally cool. 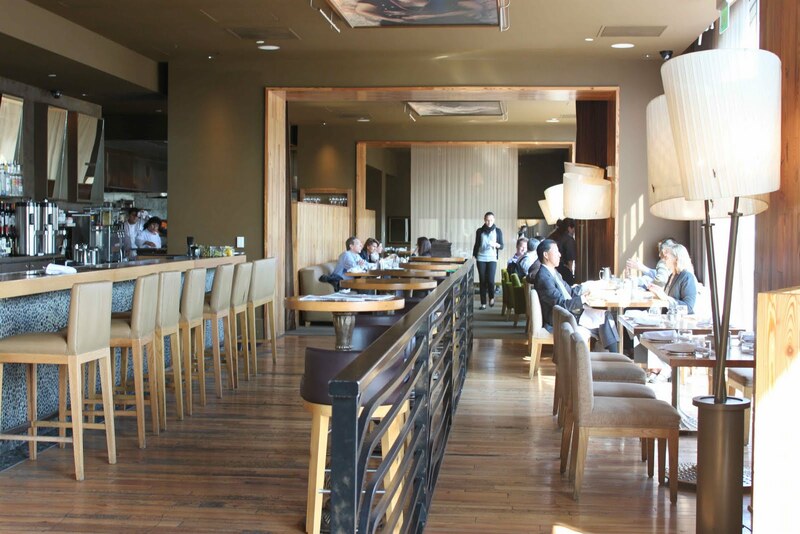 American Restaurant serves up breakfast, lunch, dinner and a lounge menu. 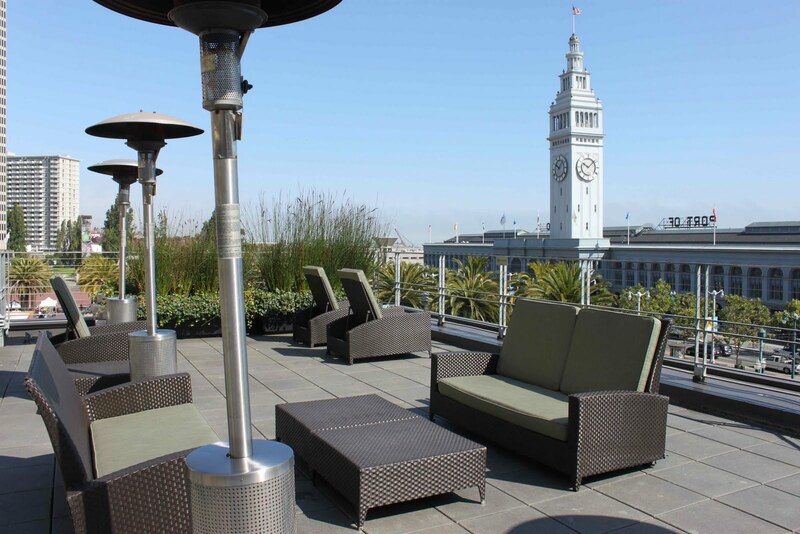 The patio is always busy with locals and people kicking back after work from the nearby financial district. 90% of the food is sourced from The Ferry Building markets across the street with an emphasis on local, farm-fresh food. 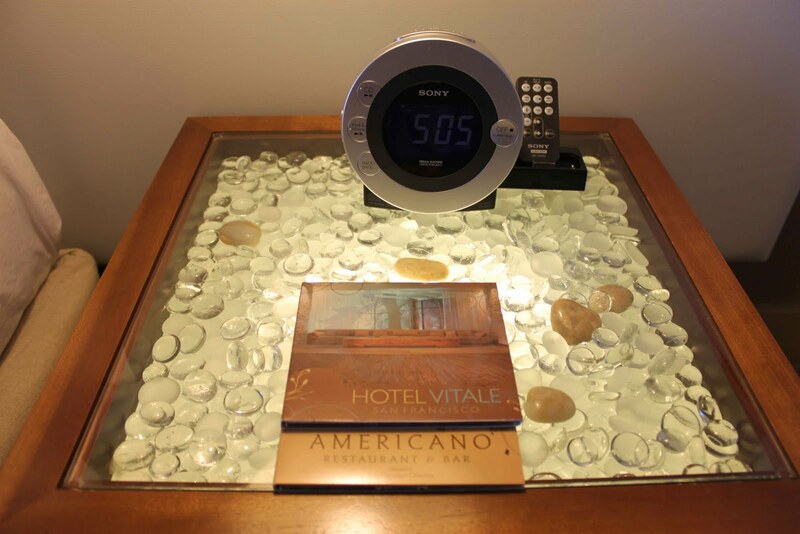 Hotel Vitale is the perfect landing pad after a long haul flight. It's easy to feel instantly at ease with all the visual signals to relax. A pair of slippers had the words 'Slow Down' printed on each one facing up. 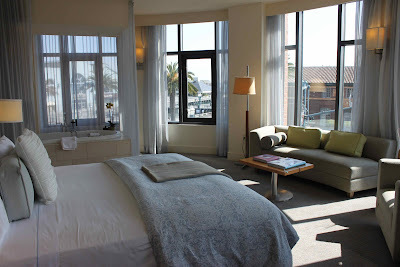 The whole atmosphere is very spa-tel with stunning views of the bay and springs of lavender next to your door. Complimentary yoga classes are offered daily at 7am. 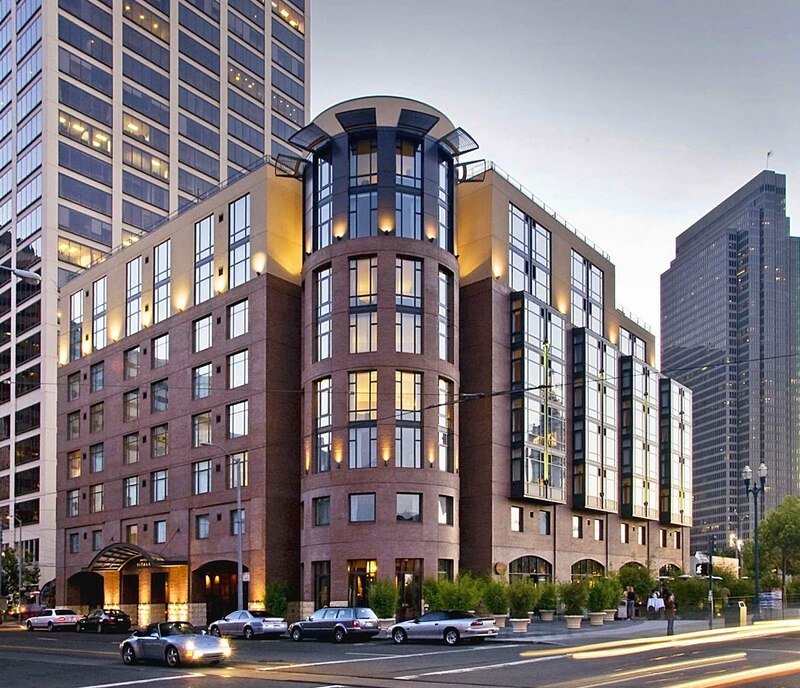 The close proximity to the water and The Ferry Building made Hotel Vitale an easy choice. It was simple to run across the street for a gourmet breakfast or lunch that was still affordable. The hotel has a boutique feel to it with 200 rooms, 50% business travellers and 50% tourists. The vibe is more rest and relaxation vs. wild party. 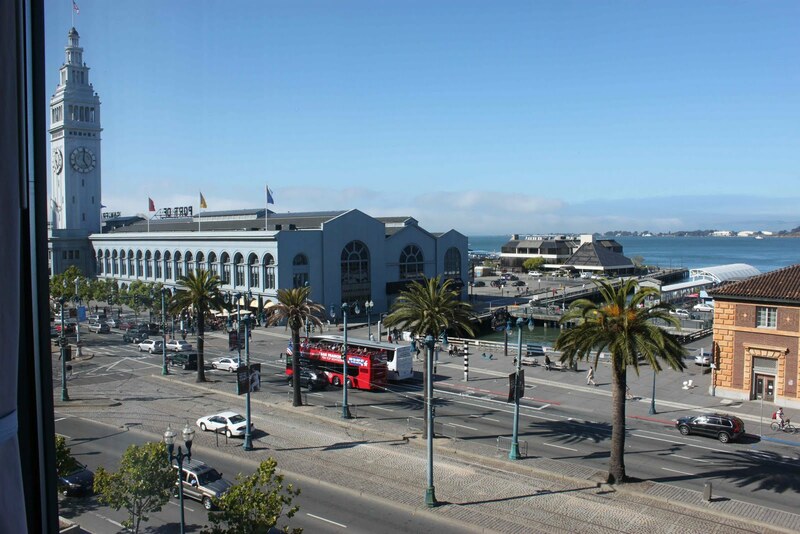 Check it out on your next visit to San Francisco.